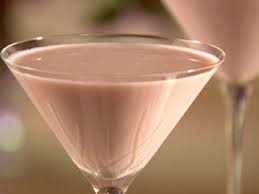 How Many Calories In A Caramel Cocktail? I made new cocktail for a friend of mine last night. Our friends Brenda and Doug came to Victoria yesterday and stayed the night at our house. It’s really nice that they came out for Christmas from Calgary. They didn’t really come just to see us, it might have something to do with a brand new grandson, Rhys. But is nice to have them stop with us. It’s so great to have friends we’ve known for almost 40 years. Doug is a martini aficionado, so after a number of beers to please Norm, I offered to make Doug a cocktail. I don’t have any vermouth but I do have some Stoli Salted Caramel Vodka. I didn’t even think about the calories when I started because I started with ice. Ice has no calories, in fact, it is rumoured to have negative calories because your body has to burn calories to warm it up into water. Good start…now two ounces of the Stoli, one ounce of Worthy Rum (I invented it by dissolving Werther’s candies in some nice spiced rum. Wow, it might replace Bailys as the favourite breakfast add-on.) then two ounces of Stoli Vanilla Vodka. 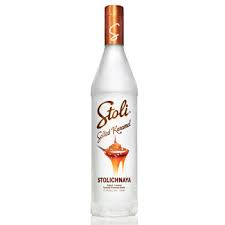 I like the Stoli flavoured vodkas because they don’t add sugar or stuff, just flavour. I shook it all up and realized it was all alcohol! So I topped it up with some “table” cream, whatever that means, and shook it like the devil. Doug got one, I got one and Brenda got a shooter. It was fantastic and now I’ve written it down it needs a name. I’m thinking of something like “A Warm Winter’s Eve”. But I did start thinking about the calories. The Worthy Rum had sugar in it, and the cream is 18% butterfat, the vanilla vodka has a few calories but I needed to check on the salted caramel vodka. Oh-oh, it has sugar in it. I’ll find out. But wait….maybe social cocktails aren’t supposed to have countable calories. Well, at least, not ones we have to count. It’s the holiday season and there are goodies all over. I’m pretty conscious of the main calories so I can slip in a butter tart or couple of sugared almonds (thanks, Brenda). And we all know that the calories in a Mimosa on Christmas morning all come from the orange juice. Right? Sigh. There’s always something when you are trying to lose weight, holidays, social occasions, birthdays or just really good food. But there’s also the aerobic exercise of laughter with friends and long walks to see the lights of the neighbourhood. It will balance out in January. Thanks for listening. ;D Diane. ~ by 1fatgirlshrinking - Diane Kirby on December 23, 2013.